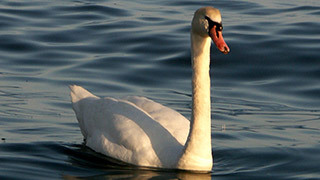 Swans are large water birds that are closely related to geese and ducks. Swans are among the largest flying birds, due to their size and weight, they need large areas of land or water to successfully take off and land. Swans usually mate for life as couples tend to stick together and only rarely "break-up".